Do you know someone who makes it a part of his or her life's mission to help others? Who has the courage to take decisive action and the wisdom to face aggressive challenges? Do you know someone who can follow Elmer Tabor's example, the Cape Coral businessman who many refer to as one of Southwest Florida's most generous leaders? 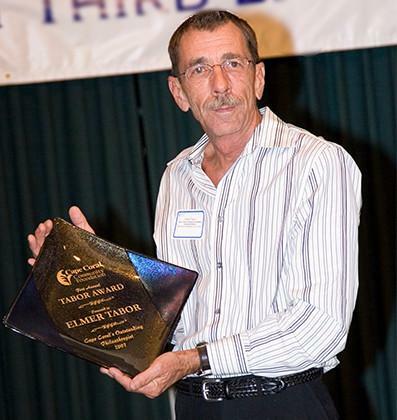 Nominations are now being accepted for the 2017 Elmer Tabor Generosity Award, to be presented to an individual in our region who exemplifies the qualities of selfless service and whose life message - through word and deed - says, "I care for you and I have time for you." In 2007, the Cape Coral Community Foundation established the award to honor and recognize outstanding philanthropists, individuals who have a record of exceptional generosity that demonstrates outstanding civic or charitable responsibility, and whose leadership encourages others in philanthropic roles to benefit the Southwest Florida region. For more information, contact the Foundation. The deadline for nominations is Friday, February 28, 2017. 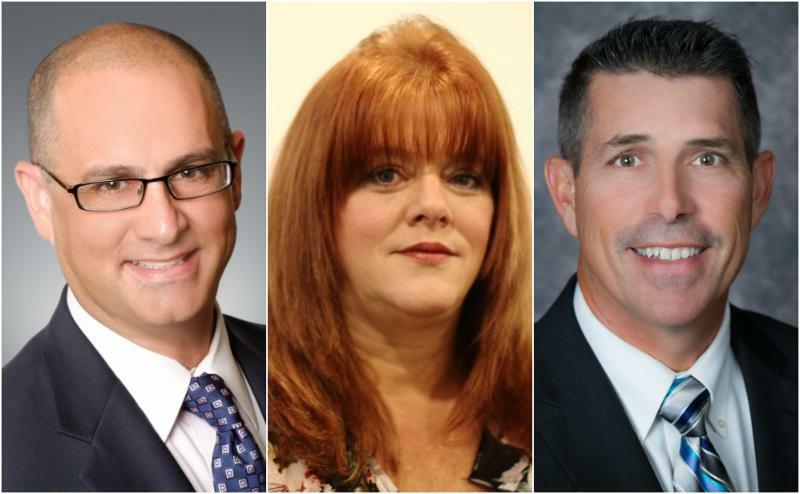 The honoree will be announced at the Cape Coral Community Foundation's Annual Donor Appreciation Dinner, to be held on Thursday, March 30, 2017. Brian Gomer, Board Chair, Vice President, Premier Cape Construction, Inc.
Wayne Kirkwood, President, Kirkwood Electric, Inc. The Cape Coral Community Foundation has awarded $275,000 in grant and scholarship distributions so far this year. Reinvesting in the community through grant making is made possible by the generosity of donors who make gifts that are unrestricted or designated for a particular field of interest. After receiving a record number of grant applications, the CCCF Grant Committee, along with the Giving Alliance of Women Grant Committee, was honored to be able to visit, learn about, research, and carefully deliberate the requests from our area's nonprofits. Congratulations to the recipients of the 2016-2017 Cape Coral Community Foundation Grant Program, the Giving Alliance of Women Grant Program & Charity of Choice Program, and donor-advised and designated fund distributions. Down Syndrome Supported Living, Inc. The Helen & Edward Brancati Teacher Development Scholarship is accepting applications through October 31, 2016 . This scholarship is designed to assist classroom teachers who would like to continue their post graduate education, take continuing education classes, or attend workshops or conferences to enhance their education and experience. Click for more information or to apply. Legacy Society membership is a tangible step toward building charitable assets for the future and sustaining the organizations that serve our neighbors and our communities. We are fortunate to count Patricia Portman, Cape Coral Community Foundation's first Executive Director, among our Legacy Society members. Thank you for your past leadership, your continued support, and your generosity! For more information on the Legacy Society, call 239-542-5594 or reply to this email.